Phillipe Marlière introduced his blow by blow account of the 2012 French presidential elections thus: ‘Charles de Gaulle once said that the French presidential election was “an encounter between the nation and a man” (sic). There is much more to it though. 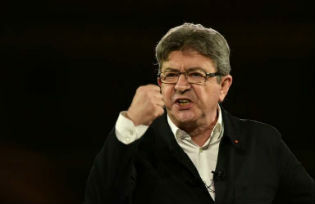 I invite you to follow my journey: analysis of results, as well as personal thoughts on candidates, debates, the media, opinion polls and the “mood” of French voters.’ Now he is back, and with the burning question of the hour: what is behind the incredible rise of Jean-Luc Mélenchon? How far will it go? Philippe Marlière is a Professor in French and European Politics at University College London (UK). He is a regular contributor to Le Monde, Le Monde diplomatique and The Guardian and tweets @PhMarliere.